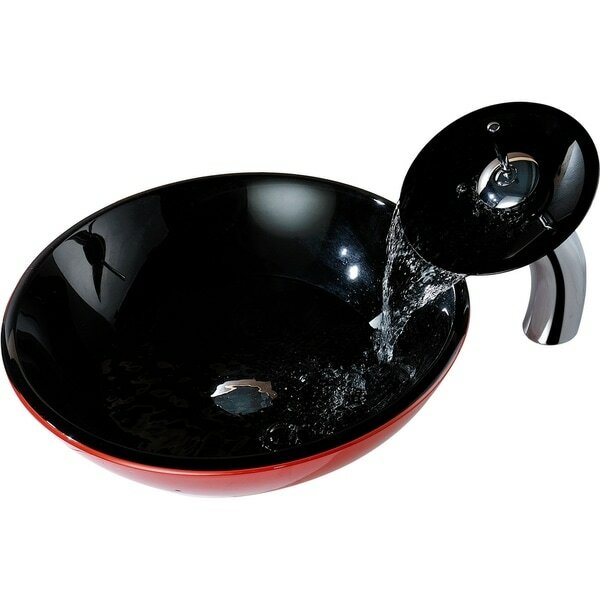 From the side, this sink looks like fiery red vessel sink, but look from the top and it's a deep, dark black vessel sink. So give your bathroom a hint of color with this two-tone sink with a matching waterfall faucet. Polished chrome gives a touch of metallic, while the non-porous glass surface gives you a break from scrubbing.